It may be America's "forgotten" resource, but here in the Pacific Northwest, hydropower is very much remembered and valued. Last week, the Department of Energy released a new hydropower potential assessment, identifying almost 50 gigawatts of new hydropower capacity that could be achieved if certain financial and innovation objectives were met by 2050. The majority of the new capacity is in pumped storage (36 gigawatts), with the remainder in upgrades to existing hydroelectric facilities (6 gigawatts), adding electricity to existing non-powered dams (5 gigawatts), and developing new stream reaches (1.7 gigawatts). This assessment spurred several reactions (for example, a recent Washington Post story) and calls for a hydropower renaissance -- one that brings hydropower back into the renewable resource development dialogue currently dominated by solar and wind. What does this mean for the Pacific Northwest, a region already rich in existing hydroelectric infrastructure? Here in the Northwest, hydropower is the foundation of our regional power system. With roughly 33 gigawatts of installed capacity, hydropower provides about half of our electricity needs throughout the year. 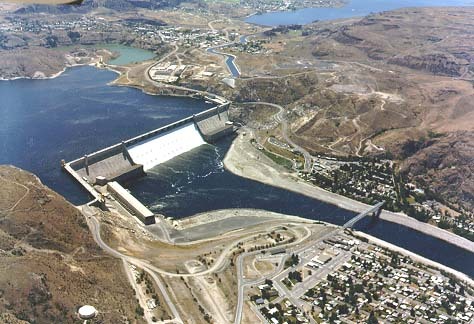 The region is home to the nation's largest capacity hydropower facility, the Grand Coulee dam in Washington state, with several more large infrastructures on the main stem of the Columbia and Lower Snake rivers, and many smaller projects on other streams and tributaries. In terms of the potential identified by the DOE assessment in the Pacific Northwest, we are very much on the same page. There is very little new hydropower potential left in the undeveloped stream reaches, however opportunities exist for upgrades and adding electricity to non-powered dams, along with pumped storage. As part of the development of the Seventh Power Plan, the Northwest Power and Conservation Council (Council) assessed hydropower's future potential in the Pacific Northwest. The Council concluded that Northwest hydropower development at new stream reaches is extremely limited, in part due to existing infrastructure and the Council's Protected Areas - roughly 44,000 miles of Northwest streams protected from hydropower development based on their importance as critical fish and wildlife habitat. Opportunities exist to upgrade the equipment at existing facilities and increase the efficiency, and sometimes the capacity, of projects. Many upgrades of hydropower dams in the region have already been completed and more are planned over the next decade. Finally, one of the biggest takeaways from the Council's assessment was the potential for new pumped storage projects. Pumped storage functions as a battery, storing and providing electricity when needed, while also helping to balance the power system and integrate renewable resources. Pumped storage faces economic and valuation barriers that have limited its development in the region. While the Council did not find pumped storage to be economical in its Seventh Power Plan, it identified pumped storage as an emerging technology to monitor, analyze, and quantify its value (Action Items ANLYS-14 and 16). The DOE assessment sets out a detailed road map and set of significant actions that must be pursued and realized in order to capture the 50 gigawatts of capacity potential. With just about 100 gigawatts hydropower capacity installed in the United States (including pumped storage) over the past century, adding 50 gigawatts in just 35 years is no small feat.